An atheist writes to Creation Ministries International about the Question Evolution! Campaign and says, "I fear for the future of evolution". Despite whatever claims, protestations and excuses atheists and evolutionists give to creationists, deep down they know evolutionary belief is unwarranted. This is nothing new. For example, in a letter to Asa Gray, Charles Darwin confided: "...I am quite conscious that my speculations run quite beyond the bounds of true science." Late in Charles Darwin's life, Darwin told the Duke of Argyll that he frequently had overwhelming thoughts that the natural world was the result of design. Also, to anyone who knows the history of Darwinism, it comes as no surprise that evolutionists have recently shown a great reluctance to defend their pseudoscience in public debate after they lost hundreds of public debates to the creationist side of the aisle. The biologist Dr. Duane Gish won hundreds of debates against evolutionists and now most prominent evolutionists are afraid to publicly debate creationists. A great many defenders of evolutionary nonsense know that the evolutionary hypothesis can't take a punch. 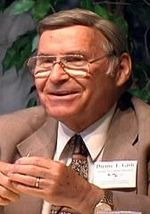 In 2010, the members of Global Atheist Conference refused to the debate the scientists at Creation Ministries International. As one who has debated over 300 evolutionists, I am delighted to see this Question Evolution campaign under way. The 15 Questions for Evolutionists brochure hits all the major questions on origins that evolutionists have no satisfactory answers for. The questions should be propagated widely. I commend the campaign. Question 2 - How Did the DNA Code Originate?